In the latest novel by thriller writer Harlan Coben, Maya Burkett struggles with the murders of her husband, Joe, and her sister, Claire. She’s still suffering from PTSD related to her combat experience in the Middle East, and the violence she experiences at home pushes her closer and closer to the edge. But when she discovers that her husband might actually be alive, it sends her screaming on a trail of clues that unearth decades of secrets. When she reaches the end of her search, will she like what she discovers? 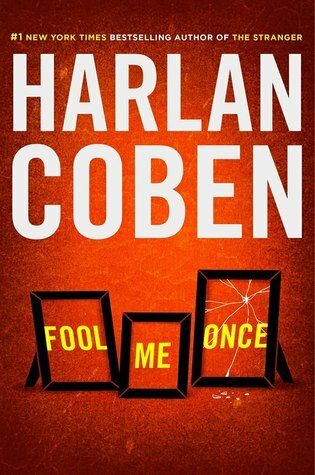 Just like his previous novels, Fool Me Once shows Coben’s strengths at balancing the murder and intrigue with the familial and the normal. The Burkett family circle is broken: Joe’s mother is a meddler, concerned with wealth and appearances, Maya’s brother-in-law is an alcoholic and multiple-time loser, and Maya’s friends from the Army have their own struggles and concerns. All of these relate to family dynamics, covering up wounds and secrets that Maya’s investigation uncovers. The results are… devastating. While the overall thrust of the novel is getting to the truth about the death of Maya’s loved ones, the way that the dynamics of Maya’s PTSD and her family circle are potentially the most interesting. Coben is funny, clever, and wise when it comes to his writing territory, proving again that his years of watching people have not been wasted. He’ll fool you for sure. This entry was posted in Books, Pop Culture, Reviews. Bookmark the permalink.